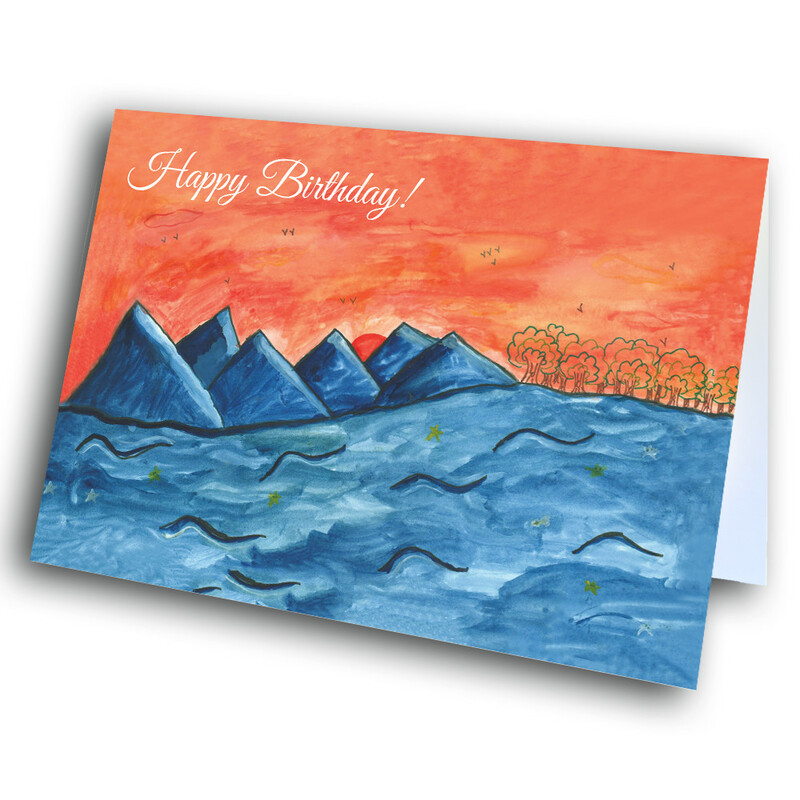 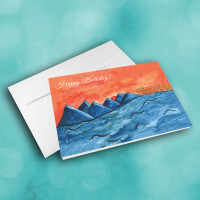 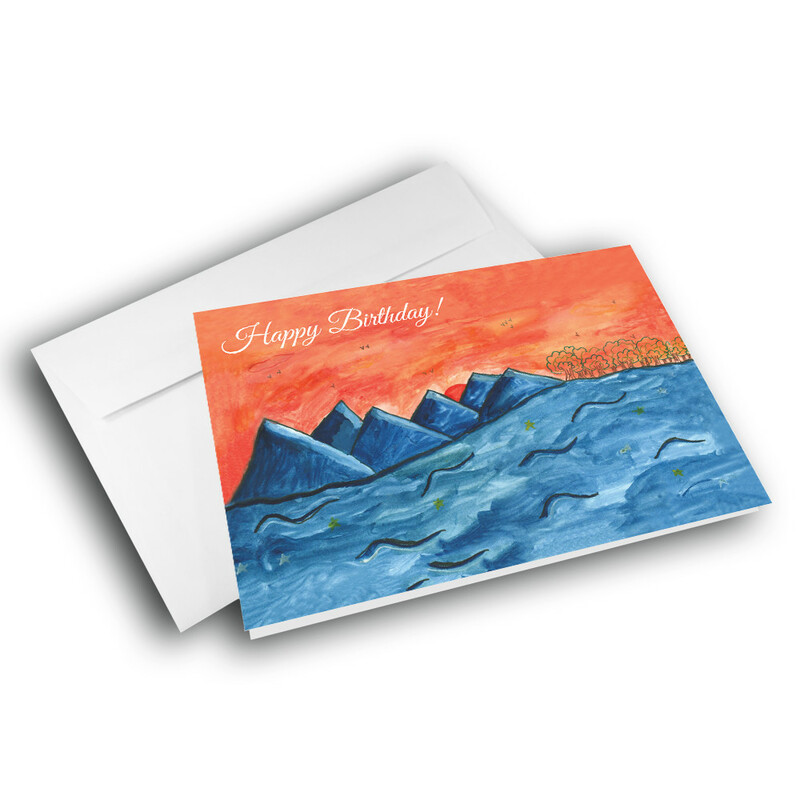 An artsy birthday greeting card designed with the art-loving birthday boy or girl in mind. 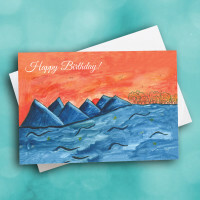 Send out this birthday card to the art-lovers in your life, to brighten up their special day. 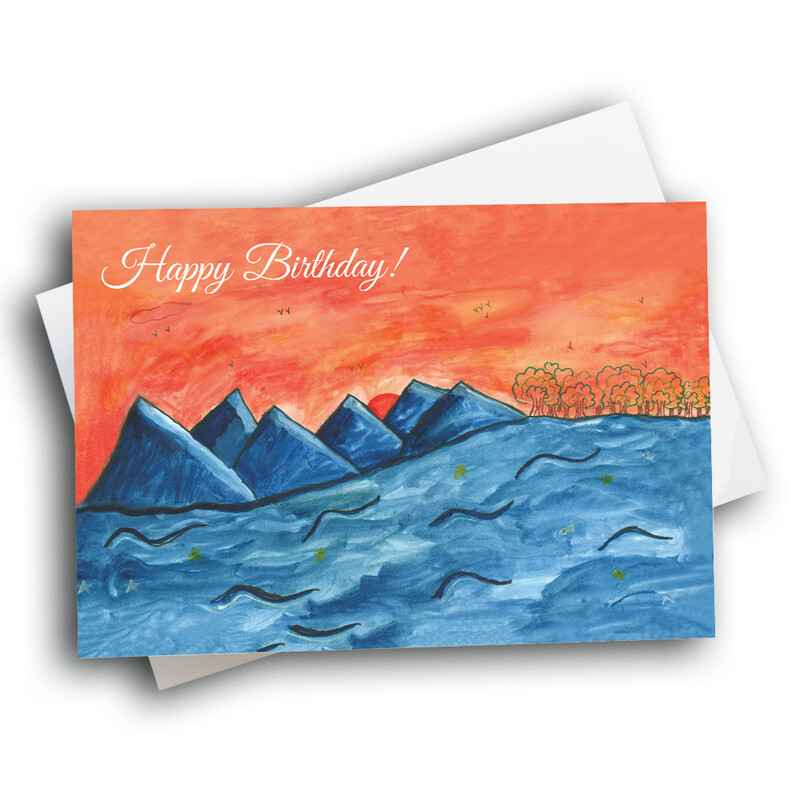 The painted landscape on the front shows a blustery lake reaching out to the forest and mountain range along the horizon. 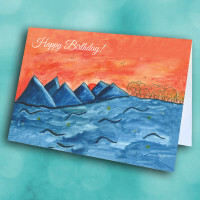 The dark-blue mountains frame a sunset, smoothly fading from reds to oranges. The charming artstyle gives this birthday card a friendly touch, and the message inside can be personalized to make the card more unique and meaningful.